Did you see last week’s post about the re-installment of the What We Did This Weekend segment? I’m excited to bring you a neat craft idea this week that the whole family can enjoy. 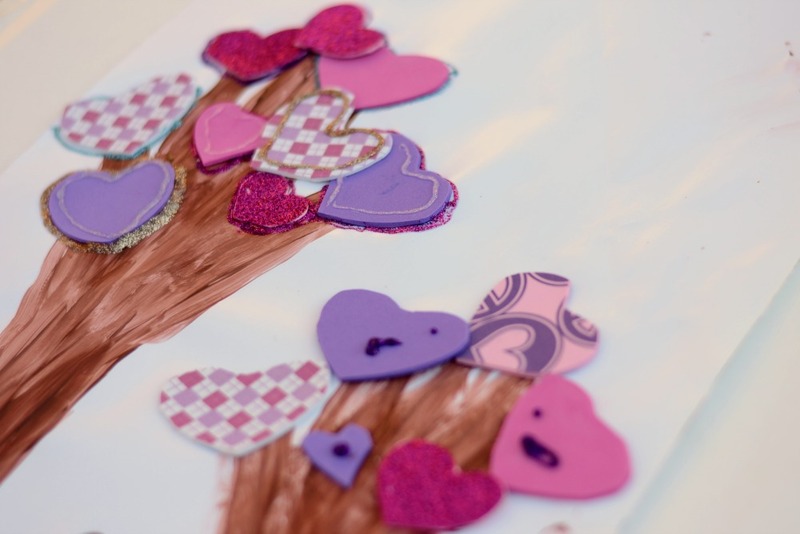 This Love Tree Valentine craft from One Creative Mommy is a fun idea. It’s something that a small child can partake in, as well as older children. The craft is also a nice stash buster. I had all the supplies for this craft (and then some!) already in my supply closet. My daughter and I spent Sunday afternoon with paint, markers, and glitter glue. One Creative Mommy cut each of her arms out individually, but we made a tree picture with ours and painted them. After tracing our arms on the paper and painting them, we then went crazy with foam heart cut outs. Maybe a bit too crazy. Then, the glitter glue made an appearance. Yes, we love some glitter glue. I had fun outlining the hearts with glitter glue while my daughter made “flowers”. 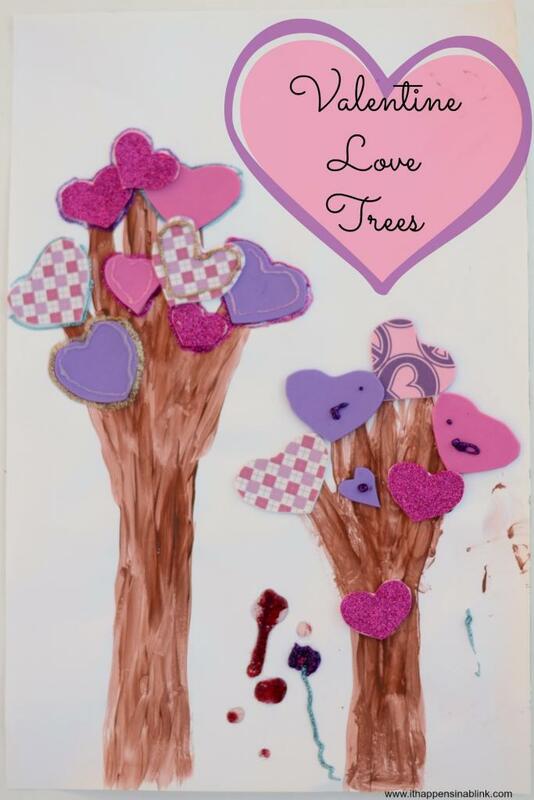 Valentine Love Trees are an inexpensive project idea that makes for a great craft night. 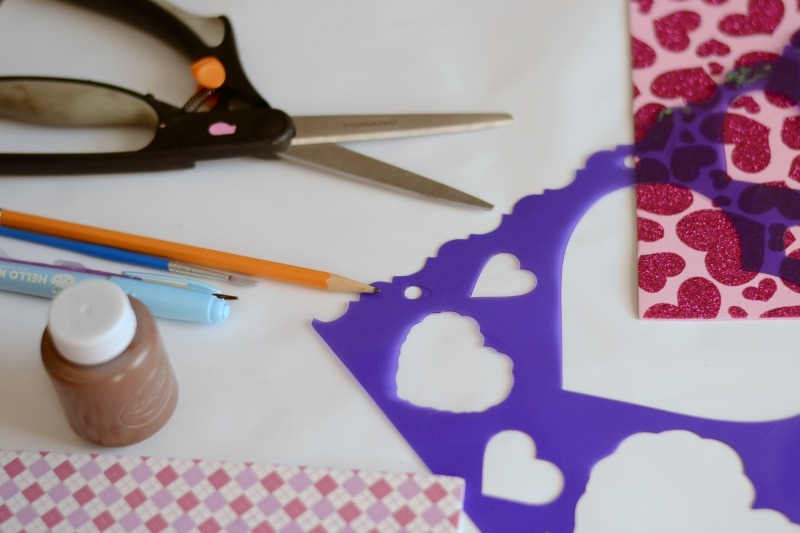 Be sure to add it to your list of things to do this Valentine’s Day, and be sure to see all the tips over at One Creative Mommy for maximizing this craft. These are really cute! Both of my kids would love to do these. It would be adorable framed too! It would be cute framed! I love your version of the idea, Melanie! It looks like you and your family had a great time making them (which is the whole point!) Thanks so much for linking back to my site and sharing my idea. Have a great week! Love this idea! They are so cute! What a fun project! I bet my son would love to do this!